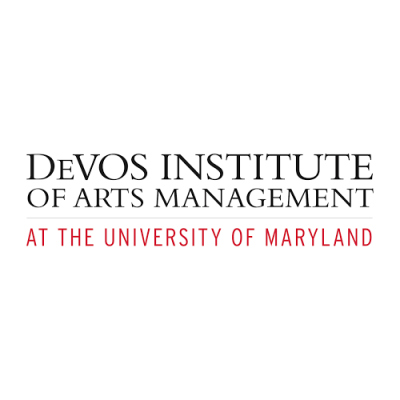 Each planning process is valued at $75,000 and will be fully underwritten through a multi-year commitment by the University of Maryland to helping build capacity of cultural communities in the United States and around the world. often unique to these environments as well. As such, the Institute, a national leader in capacity building and strategic planning for arts and culture organizations, seeks five partners with whom it will work to develop a long-term strategic plan that celebrates the unique assets of their organization, community, cultural history, and environment. and educational programming; marketing and communication; community and volunteer engagement; cross-sector collaboration; fundraising; and board engagement. the United States represents under 4% of the annual distribution of the 1,000 largest foundations supporting artsand culture in America. As such, this process will position participants as experts in a research initiative being led by the Institute to better understand and articulate strategies for resilience amongst arts and culture organizations in rural, semi-rural, and micropolitan communities around the United States. The Institute will author each plan in close coordination with executive and artistic leadership, staff, board, and community leadership of participating organizations. Each of the five processes will be led by Institute President Brett Egan. Additional planning support may be provided from Institute specialist consultants according to the discipline and strategic direction of the organization (communitybased creative practice, cross-sector partnerships, artseducation, etc.). • articulate a compelling set of objectives for the planning process; and convey broad based support at both the staff and board leadership levels. • crisis or uncertain future. Deadline to apply is December 14.